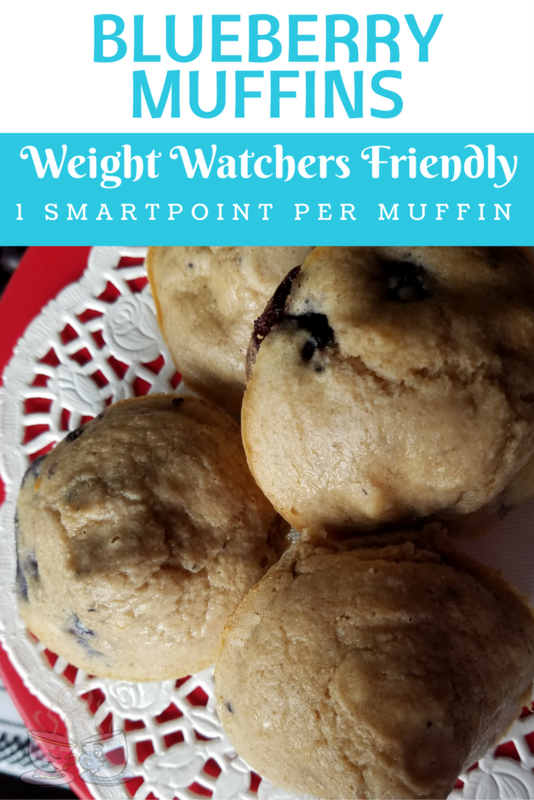 This Weight Watchers Blueberry Muffin Recipe is a favorite for everyone! It’s so easy, and low point! In fact, a single muffin is only 1 SmartPoint. How is that even possible? Oh, friends, let me let you into a little secret of mine below about a great ingredient that is super flexible and delicious! This post contains affiliate links. I earn a commission through purchases made via this link. 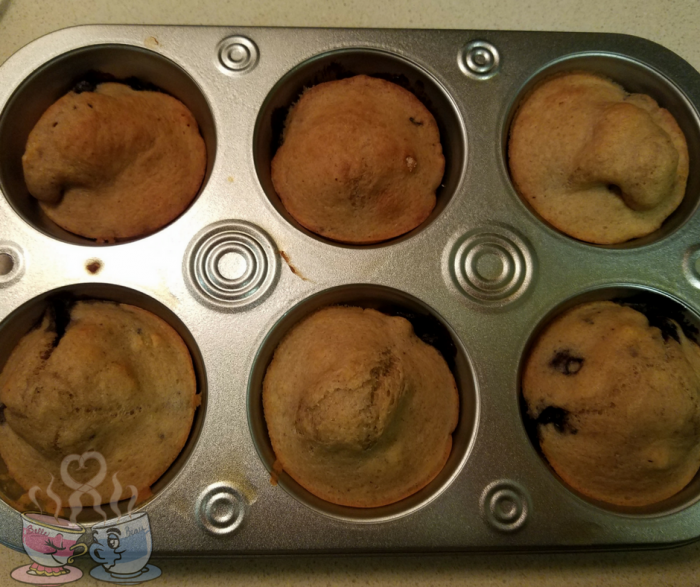 So, you want to know how to make this miracle muffin that is only 1 Weight Watchers SmartPoint each? It’s really easy. You can make all kinds of muffin recipes with this basic ingredient. Kodiak Protein Packed Flapjack & Waffle Mix. The thing is, this stuff is just amazing. It’s like almost any other ready made pancake mix out there, with one exception. This one is loaded with protein. That means that it is lower in SmartPoints than some other options out there, but mostly that it keeps you full for longer. Huge win in my book! 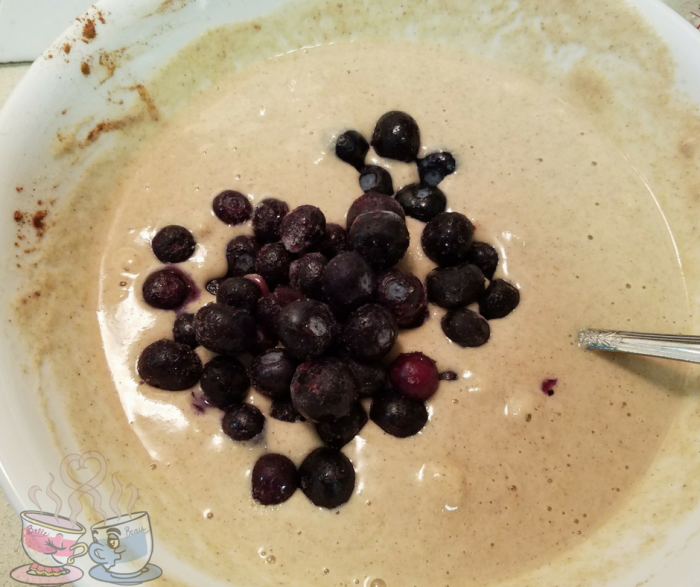 Mash banana in a medium bowl and mix in water, pancake mix, and cinnamon. 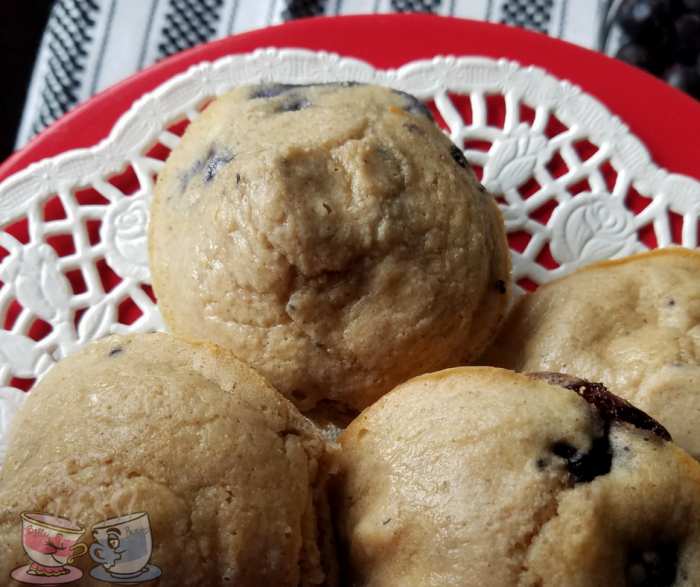 This is a basic blueberry muffin recipe, but you can easily add a bit of Stevia to it if you prefer something sweeter. No, it doesn’t end up as cake-like in texture as a traditional muffin. I admit, calling it a muffin may b e a bit of a stretch. However, if you are wishing for an easy to portion and easy to grab and go breakfast or snack – this is ideal. There are a ton of Kodiak Mixes available that can create the super fun and easy options for breakfast and snacks. If you follow the Mudhustler Facebook Page, you’ll see many of his special creations using the mix for waffles, donuts, and similar. I prefer using just the basic ingredients to create my muffins and don’t do well with the added protein powder in them that he recommends. So, my recipes here are a bit more simplistic but especially tasty. Kodiak Dark Chocolate Flapjack & Waffle Mix – Add mini chocolate chips, coconut flakes, blueberries, cherries, or strawberries to this mix for unique and yummy muffins. Kodiak Crunchy Peanut Butter Flapjack & Waffle Mix – Add in banana, mini chocolate chips, or apple bits to this mix for a fun combination that is delicious. 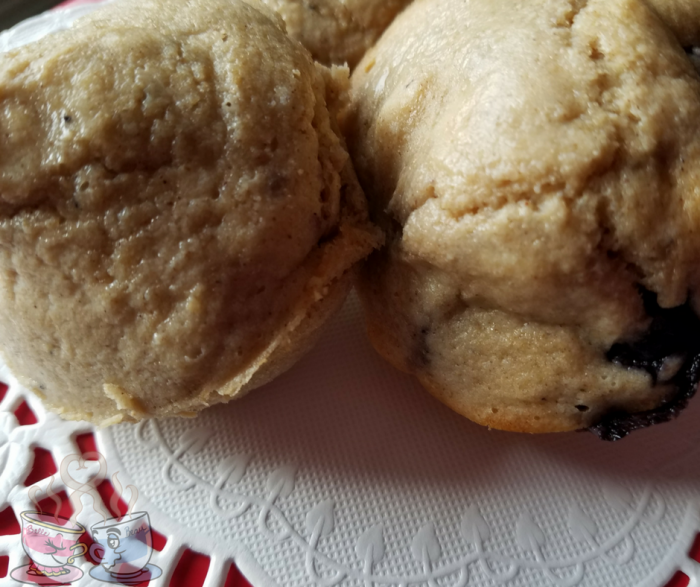 When I make these blueberry muffins, I like to make a large batch. This recipe is great for 12 muffins, but you can double or triple it easily to make larger amounts. I then store in my Tupperware Snack-Stor® Large Container since it will hold a considerable amount of muffins, and keep in the bottom of my refrigerator. All I have to do is pop the top and grab 2-3 out for breakfast, or 1-2 for a snack! I am pretty sure you are going to love how convenient these are to make. There is nothing as nice as having a sweet treat in your breakfast or lunch that is only 1 SmartPoint!